Monday 5:30 p.m. - 6:30 p.m.
Wednesday 2:30 p.m. - 3:30 p.m.
Monday to Friday 2 p.m. - 5 p.m.
9:30 a.m. - 11:30 a.m. & 2 p.m. - 5 p.m.
✔ For Bowling Green State University, Humboldt State University, Loyola University, Manhattanville College, Montana State University, RMIT (Melbourne), SUNY Geneseo, University of Arizona, University of Technology – Sydney, University of Washington and William & Mary. The deadline for the Moveon Application procedure to be completed is April 15 for Full-Year and Fall applicants and October 1 for Spring applicants. All the required documents must be uploaded by the applicable deadline. This Pre-session is included in the program of bilateral American and some Australian students (Bilateral Fee-Paying Program). You have to arrive in Montpellier January 2020 (day TBA) at the latest. No pick up is organized but we need to have the details of your arrival in Montpellier. During the Pre-session you will all be living in dorms the cost of which will have to be paid by yourself, unless otherwise stipulated as per agreement with your university. Please check with your university before departure. Please note that accommodation has become challenging in Montpellier and finding housing remains your responsibility. We can help you with finding a family through our contacts. *If you are staying in dorms, please refer to the section concerning Interlog. ★ Sessions to finalize the choice of courses: September 9 and 10, 2019, 10:00 am - 12:30 am / 1:30 pm - 4:00 pm, (Room TBA). You will be told what slot will be yours when you are in Montpellier. All students will be required to go to the special individual sessions for choosing / finalizing the choice of courses. ✔ For Concordia University, Savitribai Phule Pune University, RMIT (Melbourne), University of Victoria, University of Delhi, University of Cape Town and Emory University. Sessions to finalize the choice of courses September 9 and 10, 2019, 10:00am - 12:30am / 1:30 pm - 4:00 pm, (Room TBA) You will be told what slot will be yours when you are in Montpellier. ISEP-D students,if interested in taking integrated classes at the university will be required to go to the special individual sessions for choosing / finalizing the choice of courses on September 9 and 10, 10:00am - 12:30am / 1:30 pm - 4:00 pm, (Room TBA). You will be told what slot will be yours when you are in Montpellier. 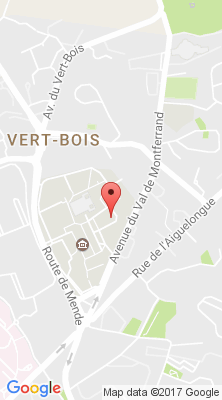 ➤ Arrival : Fall semester : You have to arrive in Montpellier on September 2 or 3, 2019 at the latest. Sessions to finalize the choice of courses: September 9 and 10, 10:00am - 12:30am / 1:30 pm - 4:00 pm (Room TBA). You will be told what slot will be yours when you are in Montpellier. Stipends are given 2 months at a time. You are advised to bring at least 1 or 2 months spending money with you.